We have a new way to participate! See below! * Grab a book and find a creative way to showcase your 56. It can be a photo of the book and the 56 in comments, or whatever you come up with. *Add your Instagram url to the Linky. What can we say about Bruschetta? Bruschetta is so popular that it is served in almost every restaurant. Thousands of variations exist but I prefer the more traditional ingredients and preparations of Bruschetta--simple but classic, with juicy tomatoes, spicy garlic, sweet basil, and rich extra-virgin olive oil. This week's #Friday56 is a recipe for yummy Bruschetta, from Going Against The Grain - Italian Style by Nuccia Ardagna. Tours Freda's Voice on May 11th, so watch for my review! ONLY FRIDAY 56 PARTICIPANTS MAY USE THE LINKY. 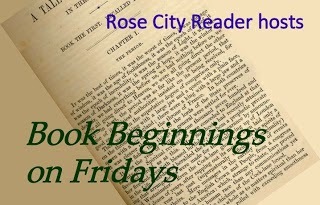 Book Beginnings leave your links in the comments if you didn't join in the Friday 56. "The results of your tests are in. You have what is known as celiac disease," the specialist said on that fateful September 12, 2013. At first I didn't respond. I needed a minute to actually let those words sink in and process what I just heard. I was somewhat familiar with gluten since a few friends of mine do suffer with gluten intolerance, but I was not knowledgeable enough to really understand the implications. I told him that this could not be. I ate pasta and bread all year round but I was not sick all year round. It must be a mistake. **No compensation was received for posting. Compensation will be earned if purchases are made from the links within. This is a meme post. Mmm, now I'm hungry. I love bread so if I ever am diagnosed with Celiac's, I am going to have a hard time. Looks delicious - happy Friday! Your Friday 56 selection made me hungry, and the book's opening made me curious. I don't know much about celiac disease, but I've been hearing a lot about it lately. Thank you for hosting The Friday 56. Thank goodness I am not gluten-intolerant. Bruschetta is one of my all-time favourite Italian things, coming a close second to pizza. I would love to be able to make it properly myself. 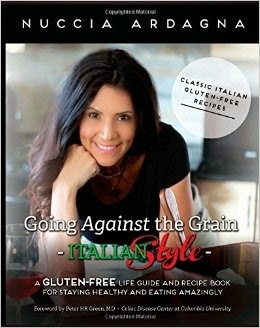 A friend of mine found out she was gluten-intolerant and was heart-broken for quite a while so I may have to tell her about this cook book! Thanks for sharing :) I hope you have a great weekend! Delightful! We're a g-free household and it's nice to see a new cookbook! This 56 is making me hungry! I've never made bruschetta, but maybe I should! This sounds wonderful. I have a few friends who have had to go gluten free. And there are times I wonder if it isn't part of my health problems. Thanks for sharing this one! This sounds like an interesting book. I have no need to eat gluten free but I have a cousin with celiac disease who would enjoy this one. That looks like a delicious book! Lovely cover art and I'm very interested in reading this one! I am off to check out your book. Sounds like one I could use. I have this book to review. :) The recipes look yummy. Thanks for adding me to the linky. Have a great week Freda!